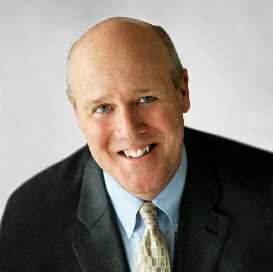 J. Michael Marsh joined Overlake Medical Center in April 2014 to serve as the organization's president and CEO. With 33 years of experience in strategy, business development and operations supporting hospitals and health systems, Marsh has demonstrated success at all levels of management within different markets and across the entire continuum of care. Prior to joining Overlake, Marsh spent 26 years with Providence Health and Services, with 14 of those years in senior executive positions. In his most recent role he served as chief administrative officer for Providence’s Western Washington region. From 2006-2011, Marsh served as both chief operating officer and chief strategic officer for Providence’s Washington/Montana region supporting five markets (1,700 beds, 500 physicians, 25,000 employees) and a full continuum of post-acute services. In this role, he was additionally responsible for information services, communications, advocacy/government relations, strategy/business development and physician services. Marsh holds a master’s degree in Health Services Administration from the University of Washington. He is married and has one grown daughter and a grandson.